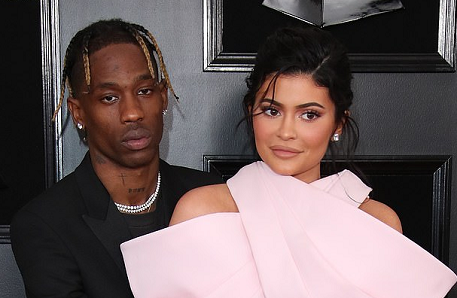 Kylie Jenner has 'accused' Travis Scott of cheating. The makeup mogul, 21, discovered 'evidence' of the infidelity after the rapper, 26, flew back to Los Angeles from the East Coast to spend time with her on Wednesday according to TMZ. And Travis has postponed his Astroworld concert in Buffalo, New York to 'deal with it' reported the source. The Butterfly Effect singer surprised Kylie and their daughter Stormi with a trip home on Wednesday, but things took a wrong turn quickly. After the 'evidence' was discovered, 'a major argument erupted and continued into Thursday'. No word yet from Kylie's team. Kylie and Travis were first spotted together at Coachella in April 2017 just weeks after Kylie split from her on-off boyfriend of four years, Tyga.